When your pet has an emergency we understand how alarming that is. When your pet develops a medical condition that requires the skilled expertise of a specialist. Referral form for veterinarians referring an emergency. Call us at (757) 874-8115! Welcome to the Peninsula Animal Referral Center (PARC). We are open 24 hours a day, including weekends and holidays, so you can rest assured that your pet will have access to emergency and specialty care when they need it, no matter what time of day or night. Our 12,000 square foot, state-of-the-art facility is equipped with advanced diagnostic and monitoring equipment, including a full in-house laboratory, digital radiology, ultrasound and in intensive care oxygen therapy unit. 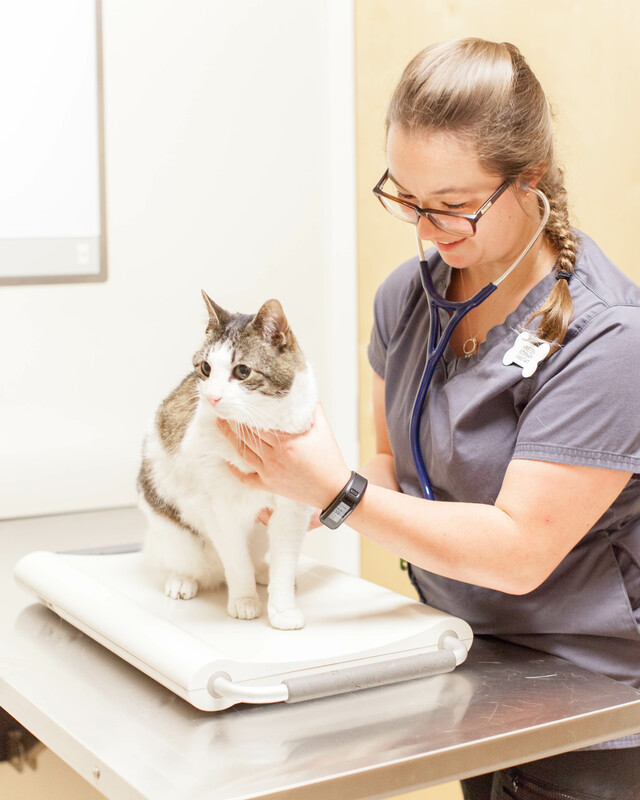 At PARC your pet will have access to Board-Certified Specialists, providing specialized care in Cardiology, Ophthalmology, Oncologic Surgery, Neurosurgery and Orthopedic and Soft Tissue Surgery. The entire medical team at PARC is specially trained to treat your pet in emergency and critical situations. PARC works closely with your primary care veterinarian to keep them up to date on your pet’s care and condition. At Peninsula Animal Referral Center, we treat your pets like the valued family members they are. "Thanks Dr. Frickey and staff for taking such good care of Finley." "True animal lovers work here!!! Everyone was so compassionate and kind." "They have officially seen all 3 of my pets and have been nothing short of AMAZING each and every time. If I could bring my pets in for preventative care and everything else I seriously would." "You have a terrific team of people at PARC, and we are very grateful for the care you gave to Mandy and the concerns you showed us. We are comforted to know that residents on the Peninsula have a such a quality facility for our pets when needed." "Thanks for the competent and kind care you gave Load and us also. Really appreciate you being there after hours. Everyone was wonderful!" "We wanted to thank all of you for your exceptional service and taking care of our little Chico. We hope you have an amazing holiday because you helped to make ours better!" "I can't say enough about the experience that I had there with my dog last night. The entire staff was warm and welcoming and boy did I really appreciate them being there at 2am. They seemed knowledgeable and were eager to help us out. I would highly recommend them."